As we close out 2014 we want to bring you the final list of ships that enrolled in Amver in the past week. Help us welcome these vessels and crews and best wishes for a prosperous and safe 2015! 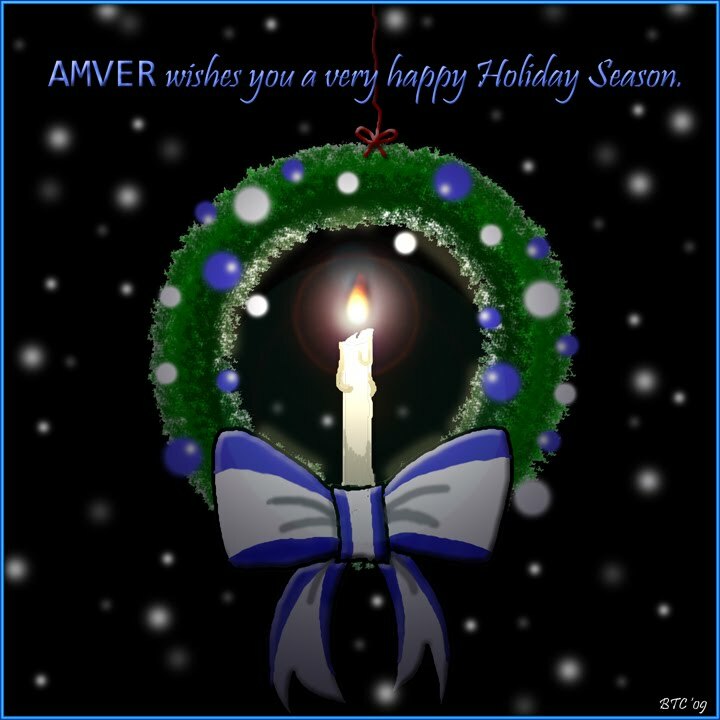 The Amver staff wishes everyone a happy holiday season! It's Christmas Eve and we're still bringing the list of those ships newly enrolled in Amver. Why? Because there are thousands of seafarers at sea today. While many of us are safely on shore, please remember the many seafarers underway today and everyday. The latest list of ships to enroll in Amver is available. You won't find this anywhere else. Every day we're honored to have more of you join and make yourselves available for search and rescue around the world. Thank you. Here's a peek at the latest vessels to enroll in Amver. We feel its important to share this with you. To shine a light on the good things shipping does. Too often we hear bad news. Well, we're in the good news department and here are 13 reasons to recognize the good shipping provides. If you want to see who joined Amver this week look for further. Each week we proudly bring you a list of the latest ships enrolled in the Amver system. Will you see your ship listed here? The Amver participating bulk carrier AM Zenica rescued three Canadian sailors from their 44-foot sailboat after it caught fire approximately 250 miles north of Bermuda on Saturday, November 15, 2014. 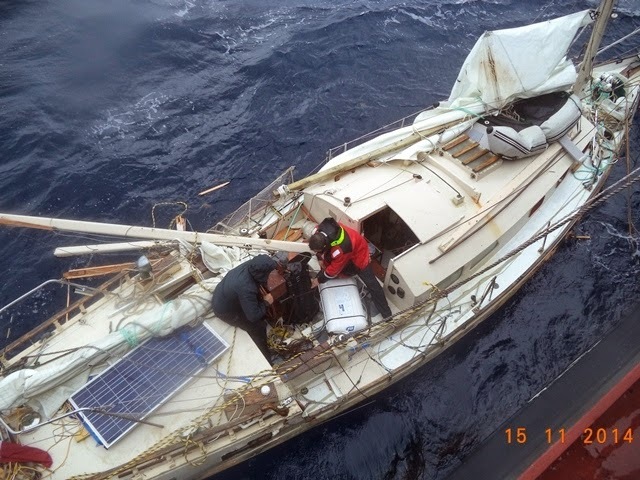 The crew of the sailboat made a mayday call which was heard by the Marshall Island flagged ship. The 738-foot ship was on a voyage from Norfolk, Va. to Croatia when Captain Manoj Mehrotra heard the call for help, ordered the vessel to begin rescue operations and notified U.S. Coast Guard rescue personnel at the Fifth District Rescue Coordination Center. Despite 25 knot winds and waves greater than 12 feet, Captain Mehrota's crew was able to safely embark the three Canadian yachtsmen and resumed the voyage to Croatia. "The sailor's are safely aboard our ship and have brought their distress beacon," Captain Mehrota. "They're uninjured," he added. U.S. Coast Guard officials notified their Canadian rescue counterparts who will help the sailors return home. The AM Zenica, managed by ArcelorMittal Shipping of London, enrolled in Amver on June 2, 2014 and will earn its first Amver participation award this year. Photo credit: Crew of the AM Zenica.